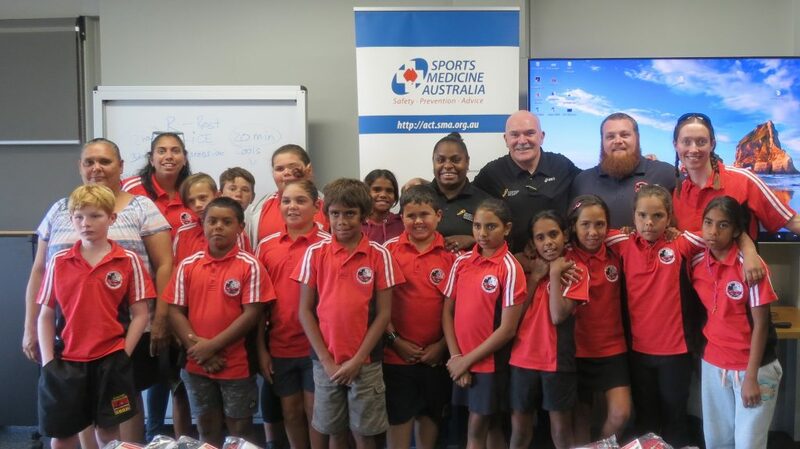 Sports Medicine Australia (SMA) was proud to be part of an exciting program to assist Indigenous students travelling from remote New South Wales to Canberra, who experienced a life changing trip they won’t soon forget. The students, from Brewarrina in north-west NSW near the Queensland border, spent four-days in our nation’s capital enjoying the sights and sounds and the various tourist destinations Canberra has to offer. SMA organised a visit from two-time Commonwealth Games gold medallist, Robert de Castella. SMA also hosted a session with Mr de Castella where he exposed the students to his Indigenous Marathon Foundation (IMF), which he first established in 2009 and has been going strong ever since. The foundation is a charity that uses running to celebrate indigenous resilience and achievements, and create inspirational Indigenous leaders. Regional Manager of SMA’s ACT office, Trish Donoghue said, “providing the students with a chance to meet and hear from an Olympic legend plus one of the graduates from the program, hopefully provided the students with a sense that anything is possible”. “Rob’s IMF uses the power of running to create an inclusive environment where Indigenous athletes can develop active and healthy lifestyles. Our visiting students were given vital information about the different pathways they can take to fulfil their aspirations and dreams.” Ms Donoghue said. Mr de Castella, who completed three Olympic marathons, has had over 65 graduates from the IMF and with the students having met someone of such prestige, it may encourage them to one day become members of the foundation. Mr de Castella, who was accompanied by former program graduate Elsie Belphina Seriat, was very excited to spread the message of the foundation to the visiting students.